Sometimes there is a need in an impulse to go for changes. Magento Go users got one, as their platform closes on February 1, 2015. How to choose the best possible alternative for your current shopping cart? If you are in the market for an exceptional platform for your store, 3dcart may be a great product to consider. It is developed for e-retailers to be as competitive as possible. Over a thousand of Canadian businessmen, who are North America’s leaders in e-Commerce, trust 3dcart to maintain their successful stores. Ease of use. Utilizing the different areas of the admin panel can be relatively simple as interface is intuitive and even having no clue about programming, you can still get a store up and running within a short time. Support. 3dcart offers support via email and ticket system, as well as live support via chat and phone. Set of store modules. 3dcart includes a lot of extensions, which add more functions to your web shop. Payment options. 3dcart is integrated with Paypal and BankCard Services as well as it offers over 80 payment gateway providers. SEO features. The most important ones are canonical URLs, simple 301 redirects, product page rich snippets, product open graph meta tags. Scroll into the infographic to see more benefits of 3dcart, which can help you to make your choice and find out about the most convenient way to migrate from Magento Go to 3dcart with Cart2Cart. As Brian Tracy once said: “One of the marks of successful people is they are action oriented. One of the marks of average people is they are talk oriented”. 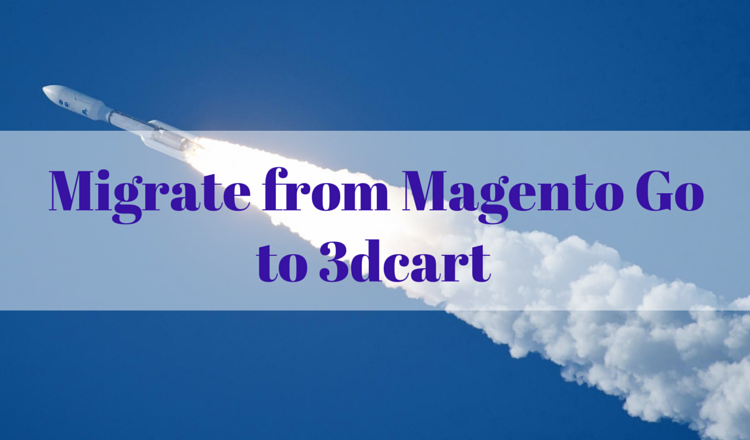 So, don’t hesitate, switch from Magento Go to 3dcart and register your Cart2Cart account immediately.